The oldest member of the Australian Province of Marist Fathers, ninety-six year old Fr Jim Harcombe SM, celebrates seventy years of priestly life. After studies at Greenmeadows, NZ, and ordination on Nov 30, 1939, Fr Jim spent a year at St John's College, Woodlawn, NSW, before beginning a fifty-five year long ministry of home missions preaching broken only by a period as the first Australian-born provincial (1954-59). A present spell in Ryde hospital has prevented Fr Jim moving into the new facility of Montbel (see below) to be one of its pioneer residents. Australian Marist, Fr Kevin Kerley, continues a twenty-year project of recording and distributing records of events in the Bougainville crisis. Fr Kevin spent most of a long missionary life as a brother and priest in war-torn Bougainville before taking up the mammoth work of identifying and collating records at Villa Maria, Hunters Hill. 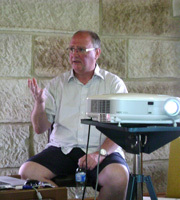 Documents from the 1988-1996 period are being systematically microfilmed by Ewan Maidment, executive officer of the Pacific Manuscripts Bureau of Australian National University. 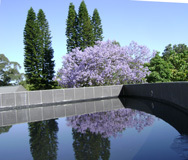 Microfilm of the documents is preserved in the National Library of Australia and copies distributed to ten universities throughout Australia, New Zealand and USA. The varsities include the prestigious Yale University and together share the cost of preservation and distribution of Fr Kevin's crisis memories. Right, above: Ewan Maidment and Fr Kevin Kerley. 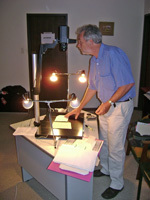 Below: Ewan at work with ANU's portable microfilm unit. / Fr Kevin amidst years of recorded memories. During the Marist Asia-Pacific vocations workshop (below), the Australian province of Marists launched a 'Year of Prayer for Marist Vocations in Asia-Pacific'. 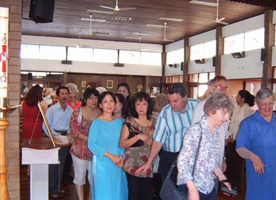 Fifty guests, mostly lay people with Marist connections and including visiting Marists from the MAP regions, represented thirteen Asia-Pacific countries. 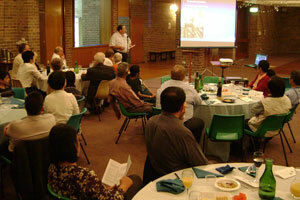 Right: Fr Bob Barber shows images of Marist ministry in Australia / Guests are served a simple, home-cooked meal. 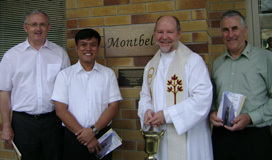 Far, left: Fr Lauro Arcede and the Philippines presentation / Fr Pat Brophy and vocations ministry in New Zealand. Next: John Nyugen (Vietnam) cooks rice for the dinner / Desserts are simple and tasty. 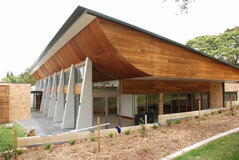 look after catering and service for the dinner. The meal, planned with simplicity and ease of presentation, can be replicated by anyone wishing to hold a vocations dinner in other places. Each guest has been invited to support the Year of Prayer by 'Saturday prayer' (see below) and by involvement in Marist and vocational promotional activities at times of Marist significance throughout 2010.
won for us by Jesus, your Son. We are grateful, too, for the touch of the spirit of our Blessed Mother -- and the ministry of Marists who bear her name. We ask that Mary's gentle way may bear even more fruit in our world. We ask that you give our young people generous and missionary hearts -- and that you would offer some of them a call to the Society of Mary. We ask that we may be your instruments in offering this call especially in our countries of Asia-Pacific. Representatives from the four regions of Marists in Asia-Pacific met for three days at Villa Maria, Hunters Hill, as part of a combined vocations initiative. 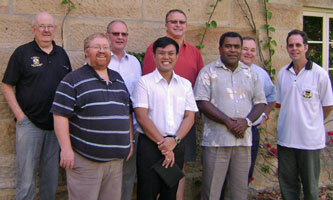 Participants from left: Frs Ron Nissen (Aust), Tony Kennedy (Aust), John Murphy (NZ), Lauro Arcede (Philippines), Pat Brophy (NZ), Milio Vakasirovoka (Oceania), Bob Barber (Aust) and Ben McKenna (Oceania). 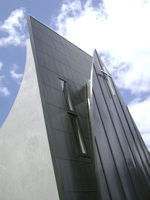 Combined vocations initiatives include the sharing of resources and the development of a web site focusing on the missions of the Society of Mary throughout the Asia-Pacific region. Above, left: Fr John Murphy explains the intricacies of web site development. 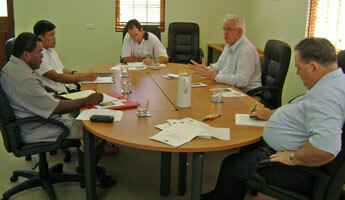 Right: A meeting dedicated to ongoing formation issues followed the vocations workshop. 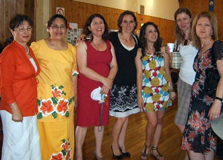 Fr Tim Duckworth (NZ) joined the group (second from right). 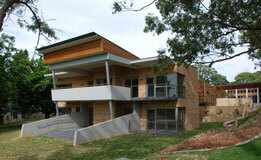 After a year of construction the Marist retirement facility, Montbel, has been opened. 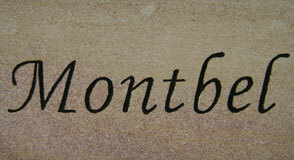 Montbel will accommodate ten retired Marists and provide domestic facilities for the adjacent 'Maryvale' retirement community. With Fr Paul Cooney are, from left, Assistant-General, Fr Kevin Duffy SM, Fr Lauro Arcede SM (vocations promoter, Marist Philippines Mission District) and Fr Phil Cody SM (representing the New Zealand Marist province). 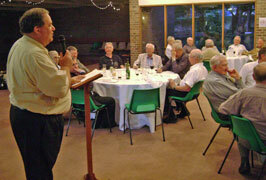 Fr Garry Reynolds SM, addressing the gathering, was a key figure in overseeing the development of Montbel. He is also the local supeiror of the combined Maryvlae and Montbel communities. 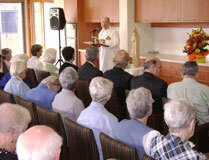 Fr Paul Cooney leading the group in prayer before blessing the various rooms of Montbel. 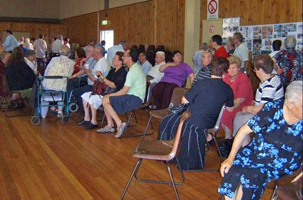 Guests after the opening and blessing. 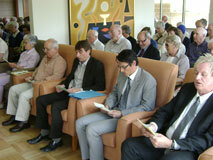 Several Marist jubilarians were honoured at Villa Maria church, Hunters Hill, on Nov 13. 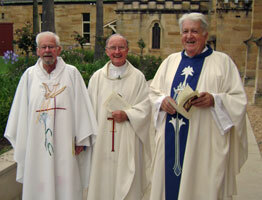 They include Fr Bernie Ryan (60 yrs ordained), Fr Tom Fulcher (50 yrs) and Fr Jack Soulsby (40 yrs) (pictured, right). 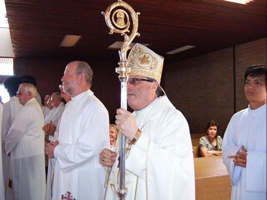 Far right: Fr Kevin Bates at the jubilee Mass / Fr Bernie Ryan during the homily. Vicar-provincial and M.C., Fr Bob Barber, invites Fr Paul Sullivan to propose a toast to the jubilarians at the celebratory dinner. Other jubilarians are Fr Jim Harcombe (70 yrs ordained), Fr John Bettridge (60 yrs), Fr Michael Rego (25 yrs) as well as those with jubilees of religious profession: Fr John Thornhill (60 yrs), Brs Terry Garrett and Kevin Jackson and Fr Bernard McFadyen (50 yrs) and Fr Luke Holohan (25 yrs). We note with sadness the sudden death of African Marist seminarian, Jean Marie Malick Ndou, aspirant with the Marist Mission District of Aftrica. Jean Marie was a first year philosophy student at St Peter Chanel's scholasticate In Yaounde, Cameroun, and died on Nov 06 playing football at nearby Nkolbisson. The field is shared by students at the training consortium attended by Marists and students of other congregations. 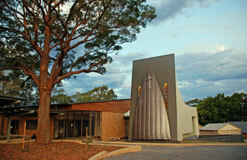 Bishop Joseph Grech presided at a Mass at St Paul's parish, West Sunshine, Vic, on Nov 08 as the Marist Fathers prepare to leave the area after over fifty years of ministry in Melbourne's western suburbs. 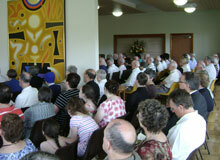 Hundreds of parishioners gathered to honour the Marists who have laboured in their midst for several generations. 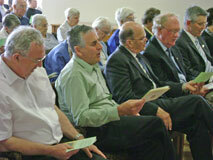 Many priests of the local deanery also attended. 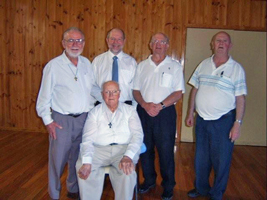 Right: Some of the Marists who have worked in the parish: Frs Pat McCabe, Paul Cooney, John Burns, Bernard McFadyen and Bill Ryder (seated). 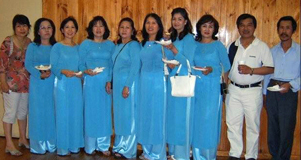 Groups at the farewell, from left: Vietnamese Legion of Mary, Liturgy group, St Paul's choir. 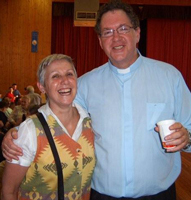 From left: St Paul's multi-ethnic congregation leaves the church; parish priest, Fr Pius Jones SM, with Sr Doris; celebration in the adjacent parish hall.